The 19th edition of LED Expo 2018 showcased a positive shift with many companies focusing on smart and innovative LED technologies. The expo hosted 341 exhibitors and 10,257 visitors determined to source products that lead to a bright, energy efficient and smart future. 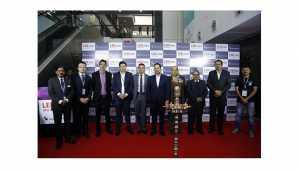 Messe Frankfurt ended its event calendar with a successful 19th edition of LED Expo 2018 Greater Noida. Hosted at India Exposition Mart Limited (IEML), the show hosted 341 exhibitors and attracted 10,257 business visitors, once again proving to be the country’s leading platform to source LED lights, components and other related products and technologies. This edition of the show saw interest in new verticals like app based lighting, mood lighting, deli controls and other automated products gaining popularity with the buyers and sellers alike. 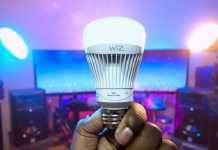 The country is ready for a shift with smart lighting storming the lighting markets and the recent edition successfully encouraged the progress of these technologies matching its pace with the growing awareness and demand. Opening gates to new opportunities, the next edition will take place from 9 to 11 May 2019.